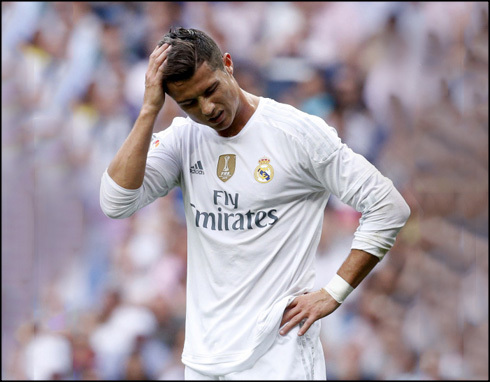 There are certain days where no matter how much you insist, things will quite simply not go your way... Real Madrid had plenty of chances to score this Saturday afternoon, but Malaga resisted well until the final whistle and managed to hold on to a goalless draw. 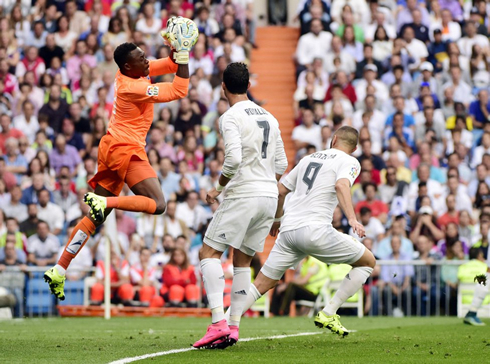 Malaga, who have still yet to score this season, defended extremely well at the Bernabéu, but it was their veteran stopper and La Liga veteran Carlos Kameni who kept Madrid at bay. Chance after chance went begging, as the Cameroonian smothered everything in his path. For Cristiano Ronaldo it was particularly frustrating, considering he had quite a few excellent chances, especially with a last minute diving header from inside the six-yard box. Ronaldo has had an odd season so far, while he's scored 8 goals in 7 total games, he's only netted in two of those. In fact, he hasn't scored in his last three matches and it appears his confidence has been affected as well. Today, the Portugese superstar looked somewhat timid in front of goal and it seemed like each missed chance put more of a weight on his shoulders as Real Madrid continued to misfire. 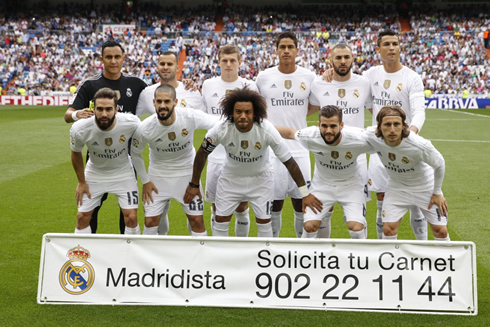 It was a badly missed opportunity for Real Madrid, who must capitalise on Barcelona's current injury situation. Of course Madrid are dealing with an injury situation of their own as the likes of Bale, Danilo, James, Pepe and Ramos continue to recover, but this is still a game one would have expected Madrid to win. - Kovacic looked good again coming on and he's been growing in stature each week, showing off great vision and determination. 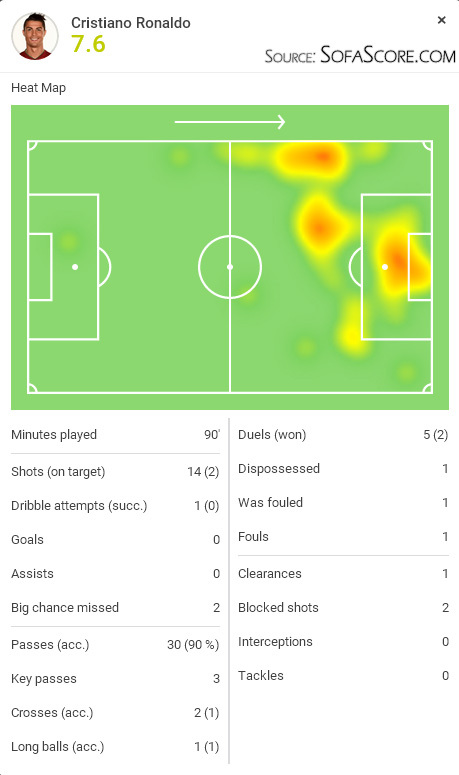 - Toni Kroos has not had a good season so far. Today it seemed he could barely make a tackle and though his passing is still accurate, it hasn't lead to many direct chances. - Ronaldo has had a bad start to the season. The 8 goals in two matches have masked what's been a pretty inconsistent start. Next week, Real Madrid are taking on Atletico in the derby, the first real test for Rafa Benitez's men aside from their trip to Bilbao. With most of the injured players making their return, we should be able to see a better performance, however and as we all know, going against Atletico is never an easy task. Attackers: Jesé, Cristiano Ronaldo, Benzema. Cristiano Ronaldo next game will be for Real Madrid on the 30th of September of 2015, against Malmo. You can watch Juventus live stream, Malmo vs Real Madrid, Barcelona vs Bayer Leverkusen, Watford vs Crystal Palace, Inter Milan vs Fiorentina, and Borussia Dortmund vs Darmstadt, all matches delivered in our soccer live section.